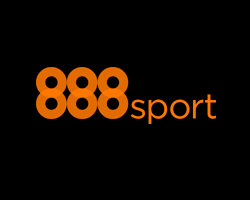 We’ve all heard the adverts featuring Shane Warne, and now 888 Sport have signed up Ian Wright as the face of their online free bet campaign, and its a sure bet that ‘Wrighty’ is certain to add his vocal support to all things 888! The 888sport website offers a thorough and comprehensive online betting experience in the worlds of sports, poker and casino. 888sport is part of a big company in 888 Holdings Plc and the brand of the company comes across very well through the website. Everything is laid out with professional design and various sections of the website are easy to find for new and experienced customers. New customers to 888sports can get their hands on a treble the odds offer, which means 2/1 becomes 6/1, 6/1 becomes 18/1 , while 33/1 is boosted to 99/1! This is a slightly higher amount than the majority of current customers but it is still realistic in the sense that it can entice new customers to sign up. Pick up treble your odds on your first deposit with 888Sport here! Get a massive price on your selection – Courtesy of Freebetshere.com! User controls on the 888sport website are very good. The website will remember the most common selections and will make these available on a daily basis. There is also the option to limit the amount of money that can be deposited into an account each day which promotes the healthy and responsible gambling issue. Help and support is clearly a big part of this website and there are different sections for different problems. The majority of betting customers will want to find a quick solution to a problem which is where stored information comes into play but there are telephone numbers and e-mail address for anyone who thinks they may have a more unique issue. The live betting part of 888sport is also done very well. The live betting operates via flash application which will display live events currently going on around the world and a live diary. Clicking on the required event will open up that event with all of the various live betting markets attached to it. Bets can then be added to the bet slip at the discretion of the user. Of course, there’s also the option of betting on the move as 888 Sport have a superb mobile application for punters to use – its available to download on android, iphone and blackberry platforms, so there’s really no excuse for failing to get your bet on! This all makes for a very straight forward and simple betting process, which is sure to attract new and hardened punters the 888 sportbook.